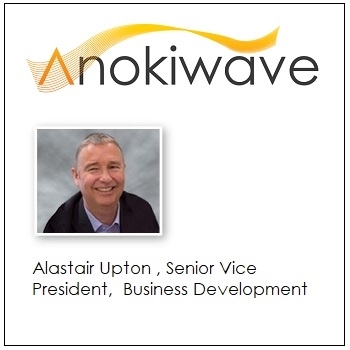 Anokiwave has appointed Alastair Upton as its new Senior Vice President of Business Development. Upton will now lead the company’s strategic accounts, manage partnership programs, and provide telecommunications expertise to the company. The appointment comes at a strategic time for Anokiwave with tremendous opportunities for continued growth in the rapidly developing mmW 5G, SATCOM and A&D markets. Upton will be based at the company’s Billerica, MA office. Alastair Upton joined Anokiwave in June of 2018 and brings 38 years of experience in the semiconductor industry covering both defense electronics and high volume commercial applications at companies such as GE Aerospace, Lockheed Martin, RF Micro Devices (now Qorvo), MACOM, and IDT. Prior to joining Anokiwave, he served in a wide variety of leadership roles including Sr. Director of RF Product Marketing, VP of Engineering, Carrier Networks Business Unit Director, and General Manager of the Digital Cellular Product Line. His global experience across several generations of technology and networks provides him a uniquely comprehensive perspective on the telecommunications and other RF markets. He earned his MS Executive Engineering Degree at the University of Pennsylvania and his B.Sc. Electronic and Electrical Engineering at the University of Leeds in England. Speaking on the appointment, Carl Frank, Anokiwave COO, stated, that Alastair is a seasoned executive in the telecommunications industry and is already taking Anokiwave to higher levels of mmW market leadership by leading the O-RAN Alliance efforts and by providing new thought leadership in our 5G market strategy. He is thus confident about Alastair’s leadership, along with his vast industry knowledge, and depth of experience is the perfect mix of expertise that will be beneficial to the continued growth and success of Anokiwave.